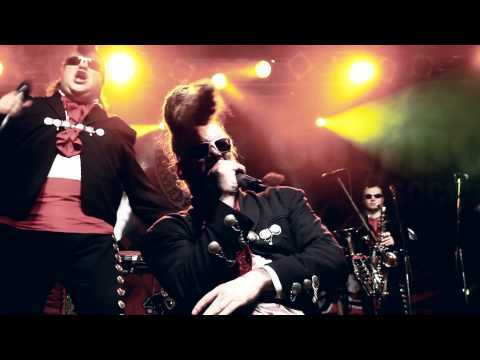 The ultimate cult band, Leningrad Cowboys, were formed in the late 80s as a 10 piece band and continue to the present day though only 2 of the existing members remain (Mauri Sumén & Sakke Järvenpää). Despite their name & Russian trademark uniforms they are actually from Helsinki, Finland, cross the border to St. Petersburg (Leningrad). It's Only Rock'n'roll, Let's Work Together, Volga Boatmen, Happy Together, Yellow Submarine, A Cossack Was Riding Beyond The Duna, Proud Mary, Delilah, Katjusha, Dancin' On The Streets, Knockin' On Heaven's Door, Oh, Field, Sweet Home Alabama, Kalinka, Gimme All Your Lovin' , and Those Were The Days. A double cd was released of the concert. The concert was performed in the historic Senate Square. This was where thousands of people came to see the body of most famous Finnish leader, Mannerheim (he of the supreme dyed barnet!) as he lay in state. Mannerheim, when not colouring his hair, was head of the Finnish Army during the 2nd World War when the country fought valiantly against its deadly enemy, Russia. 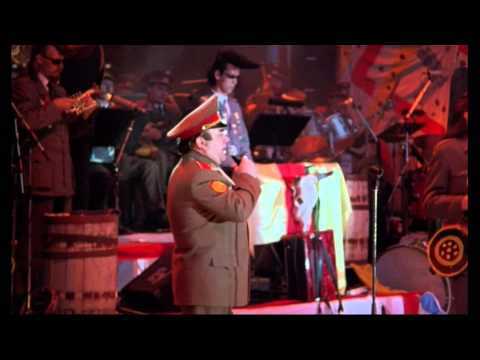 And here, some 50 years later, this Finnish band were performing with the Russian Red Army. It was an unforgettable experience. Rock n'roll that balmy summer's day really did stop the traffic. 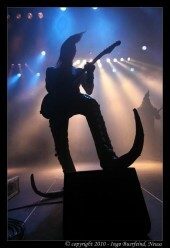 At this time the Total Balalaika Show in Helsinki the Cowboys linked up with Nokia. 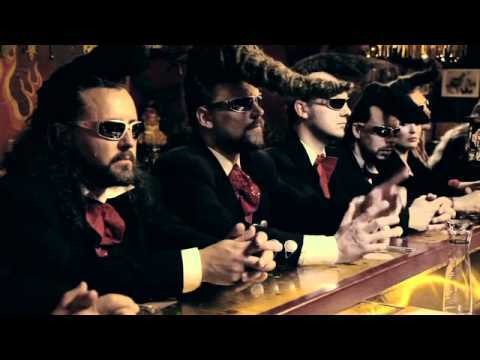 Nokia sponsored Leningrad Cowboys. There was a special Leningrad Cowboys phone. More importantly, they sponsored the costly gigs with the Red Army. "We have had some big gigs, which would have been too expensive without Nokia's support", Mato Valtonen, one of the founding members, said. The special phone was part of one of the biggest and most impressive range of merchandise any band have had. They utilised their striking communist-style logo to the full. Apart from the cds and videos there was the Leningrad Cowboys beer and vodka, comic books, t-shirts that glowed in the dark, earrings and a host of other things. In 1994 they performed on the MTV Video Music Awards which had an audience of over 250 million people. 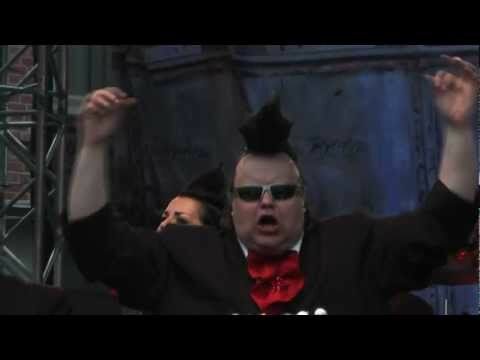 The Berlin Concert (where they performed to 60,000 fans) marked the day of the End of the Cold War brought to life the famous Leningrad Cowboys motto: "Make tractors -- not war!" 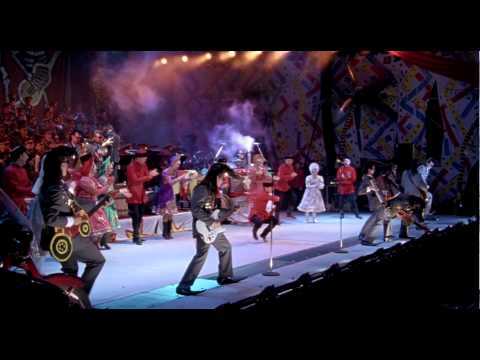 The 10 Cowboys entertained exhibition-guests on the Nokia Summer Meltdown - festivities in Dallas in 1997. "A hot event", was Sakke Järvenpää's comment of the occasion. "A basic American big city, you sit much in a car and it's hot. When you drive on the highway, you notice, that you're not alone", Mato Valtonen commented. 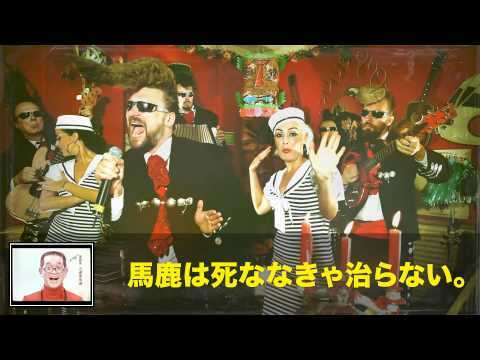 Dr. Martin Bjurhed of the Stockholm Peace Institute has directed a scientific research The Leningrad Cowboys effect on the human brain, nexus and size. His conclusions were that it has something to do with the production of some chemicals in the brains and in the body. You can order future information from Dr. Bjurhed personally. 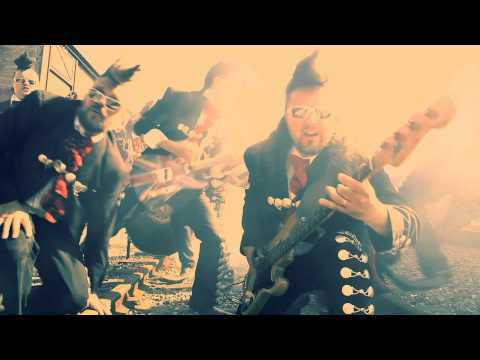 The line-up for the band has changed constantly over the last 14 years or so but of the original band members from the 1989 film Leningrad Cowboys Go America film, Sakari Kuosmanen left soon after and has pursued a music and acting career in Finland, appearing in many of Aki Kaurismaki's movies. 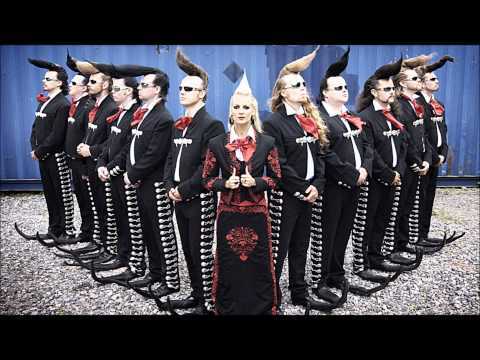 Indeed, of the 10 original band members only Silu Seppälä, Sakke Järvenpää, Mauri Sumén & Mato Valtonen were still around by the time of the 1994 under achieving sequel, Leningrad Cowboys Meet Moses.